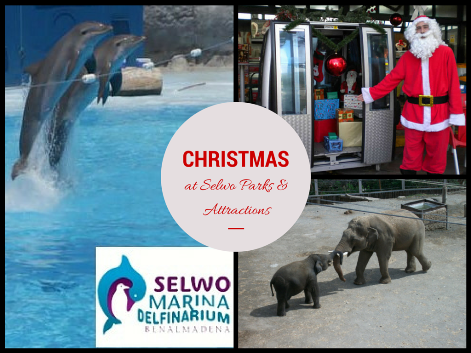 All three of Selwo’s Costa del Sol parks and attractions (Selwo Marina, Selwo Aventura and the Benalmádena Cable Car) have put together a magical events and entertainment programme for this Christmas. Until the 6th January, each of the parks and attractions will offer themed events, magical characters and exhibitions for kids. Apparently, all children (aged 3 to 9 years) who visit any of the 3 parks over the Christmas period will receive a special gift: A kid’s season ticket which grants them unlimited free access to all the Selwo parks during 2015. So what’s the catch? 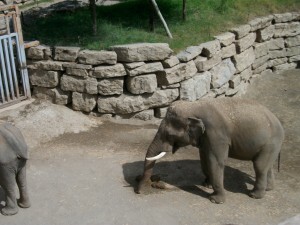 Well, they need to be accompanied by an adult paying the full entrance price. Selwo Marina in Benalmádena has to be one of our favourite family attractions. Located just next to Paloma Park this is the only Dolphinarium in Andalucia and offers visitors a spectacular experience which includes dolphin exhibitions, sea lion show, exotic birds show and penguin feeding to name but a few. 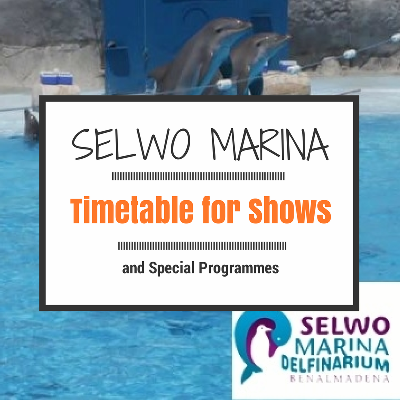 As well as the regular programme and shows, Selwo Marina also offers special and unique experiences which allow you to see behind the scenes and interact with its friendly inhabitants. You can choose between the special VIP visit (includes pretty much everything), the dolphin encounter, swimming with sea lions and the VIP penguin visit. The Costa del Sol is known for its great beaches and lively night spots; however, there are also plenty of other great attractions and things to do during your holiday. We are so keen to let our guests know about all the wonderful things our destination has to offer that we decided to make a video to highlight some of our favourites. Most of the featured locations and attractions are in Benalmadena as that is where our hotel is based; however, we have also included favourites in nearby Fuengirola and Málaga. We hope this video will give you a clearer picture of some of the places you can visit during your next holiday in Benalmadena and the Costa del Sol. 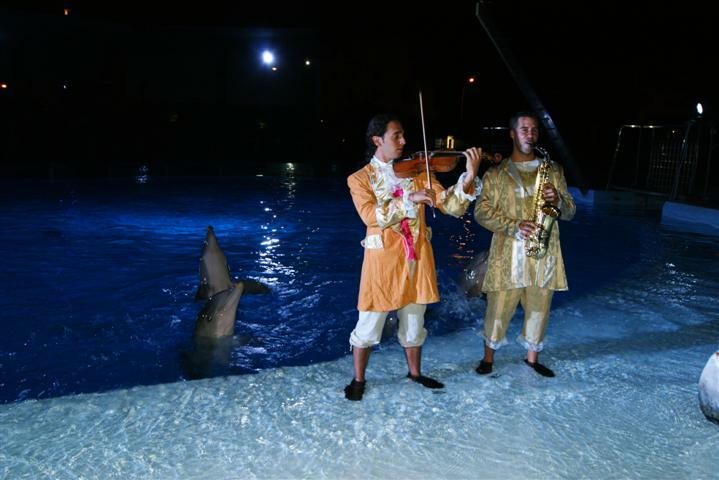 Two of our favourite attractions on the Costa del Sol, Selwo Marina Dolphinarium and Selwo Aventura will be opening for the new season today (Friday 24th February 2012). After a well earned winter break, these popular parks are ready to delight visitors with their unique facilities. Two new Hippos – Margarita and Manolito (can’t get more Spanish than that!! ) – have been brought to the park in the hope that they’ll be able to add to the parks population with a little Manolito Hippo! The Masai Mara area of the park has been especially prepared to welcome the two Hippos and to make sure they feel at home. HyenaTerritoryis one of the new installations which will be introduced this season. This is perfect opportunity to learn more about this roaming carnivore, vital for the African ecosystem. The newLionTerritory. Located in the main village area of Selwo Aventura, this new feature will allow visitors to see the King of the Jungle up close! The “Reserva de losLagos” area of the park will be the new home of the Sitatunga (don’t worry, I had to look it up too 😉 it’s a type of antelope) another African species. If you are planning on visiting Sunset Beach Club for a holiday – and especially if you have kids – make sure you include Selwo Marina Dolphinarium and Selwo Aventura on your list of ‘Places to see’, you’ll have a blast!